Friends and some acquaintances have been asking about whether there is a master plan for sustainable transport in Philippines. There is none, but there is a national strategy that should serve as the basis for the development and implementation of a master plan, whether at the national or local level. This strategy was formulated with assistance of the United Nations Council for Regional Development (UNCRD) through the Philippines’ Department of Transportation and Communication (DOTC) and Department of Environment and Natural Resources (DENR), which served as the focal agencies for this endeavour. The formulation was conducted by the National Center for Transportation Studies (NCTS) of the University of the Philippines Diliman. 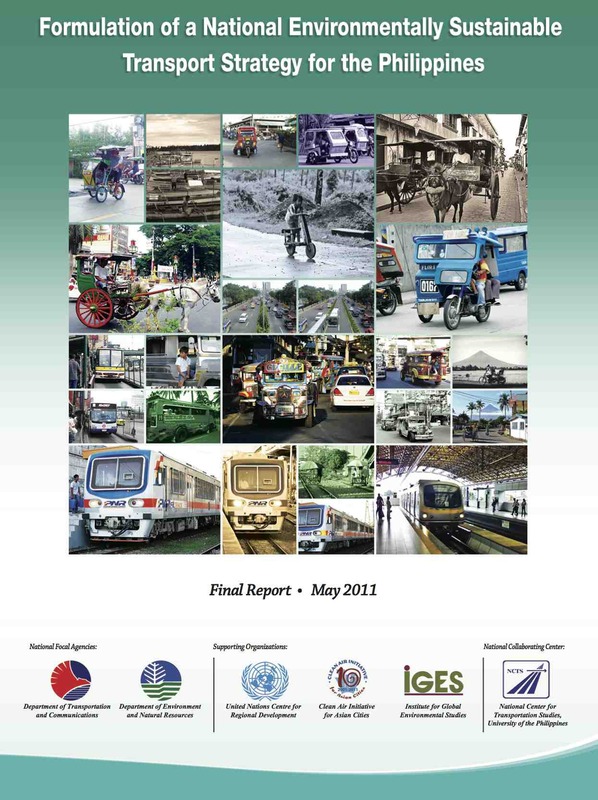 For reference, you can go to the NCTS website for an electronic copy of the National Environmentally Sustainable Transport Strategy Final Report. By d0ctrine in Academe, Air quality, Behavior, Cycling, Economics, Electric Vehicles, EST, Fuels, Health, ITS, Land use, Logistics, Mode Share, NMT, Pedestrian, Policy, Public Transport, Research, Road Safety, Transport Planning, Walking on June 23, 2014 .